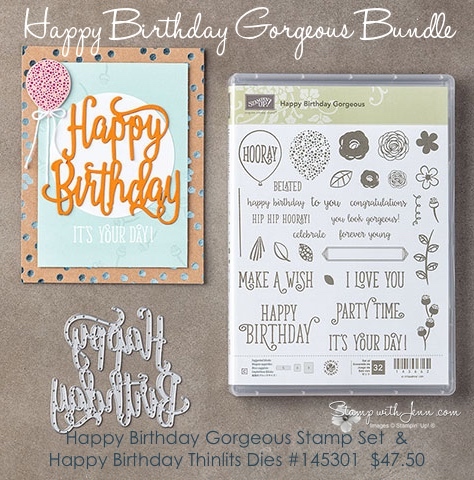 The Happy Birthday Gorgeous Stamp set with matching stamp set is one of the new bundles in the 2017-2018 Stampin’ Up! catalogue. We made the card below at Stamp-A-Rama using the dies. 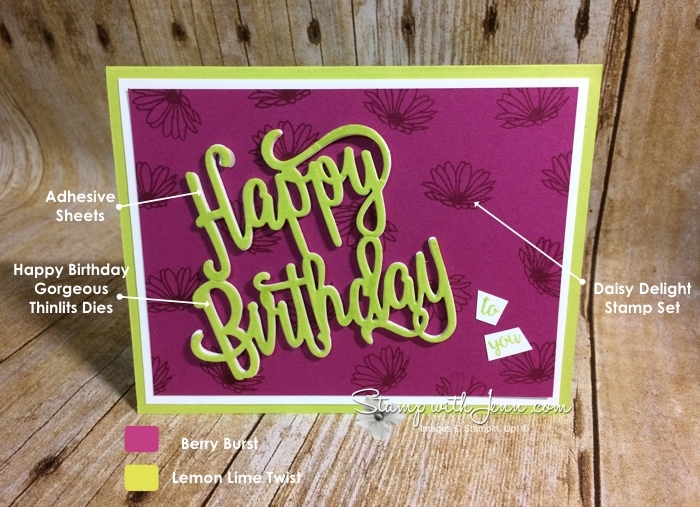 We cut out the saying on Lemon Lime Twist cardstock and then we also cut it out again using fun foam. We used the new Multipurpose Adhesive sheets to put each layer together. See all the products used on this card below. Check back to www.stampwithjenn.com later this week for another card using this bundle.